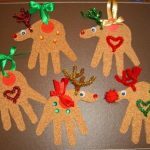 I love this time of year when I get to see family and friends who I haven’t seen all year. I work really hard making sure I have the cutest outfit and hairdo! This year is no different. 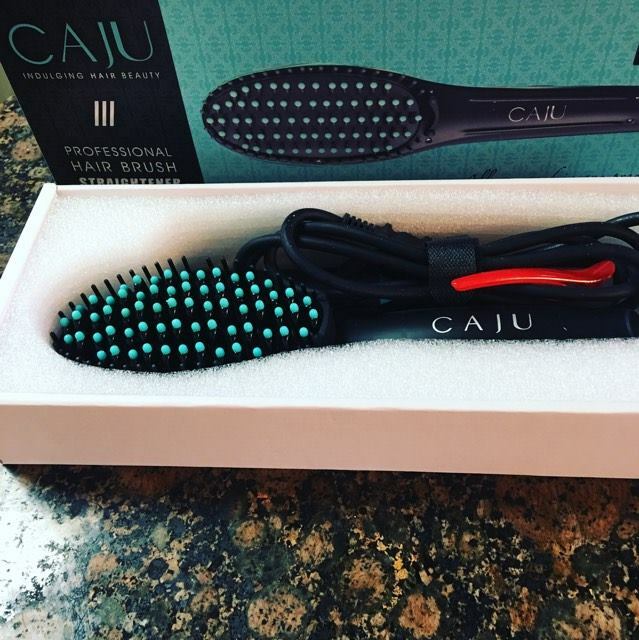 I have worked hard for 6 months to let my hair grow out, so needless to say I am so excited about receiving the Caju Hair Brush Straightener. I love how awesome it works on my thick hair. Not only does it straighten but it stays straight for hours. I love it because my hair doesn’t look fried after using it! Are you fed up with the low quality hair brush straighteners ? With the poorly glued bristles that hurts you when brushing the hair or Breaks your hair and bristles are coming out after using it for several times, well .. look no further ! We are proud to announce the most innovative hair straightener – THE CAJU HAIR BRUSH STRAIGHTENER.We have incorporated the most advanced hair care technologies, ensuring safe, easy and quick results. CAJU hair brush straightener is the safest and easiest way to have a silky straight hair – in minutes. 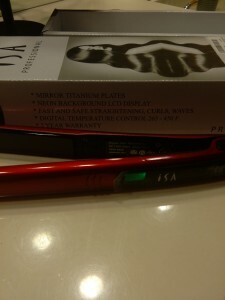 It has a top quality ceramic coating and springy bristles to protect your scalp. It’s easy grip, lightweight handle and non-slip ergonomic design make you feel comfortable to hold it for hours. – Keep your hair dry and free from sweat and oil. – Plug your straightener in to a proper socket outlet. Switch it on and set the desired temperature. – Pull the hair using one hand and comb with the straightener downward. – Continue brushing motions until desired straightness is achieved. – Once finished unplug the brush from the socket outlet and allow it to cool properly before storing.If you want to keep your straight hair last longer, please use hair styling lotion and softener prior to use the straightener. Also, for thick or curly hair keep the temperature at a higher setting or for thin hair at a lower setting.